DICKINSON, DAVID A. SR., "POP", 78, of Cape May Court House, NJ, passed away on Wednesday, March 13, 2019 at Cooper University Hospital. He was born in Camden and moved to Reeds Beach at age 15. He lived in Cape May Court House for the last 28 years. He worked at South Jersey Fuel for over 30 years. He was a boat captain on Reeds Beach with his Uncle Sam, also a boat captain. He was also a gillnetter and fisherman who loved the beach. David was preceded in death by his wife, Faith Shively Dickinson; his father, Thomas Dickinson; his mother, Virginia Tees; his stepmother, Ruth Dickinson; his brother, Ronald N. Dickinson; and his sister, Frances Reed. He is survived by his children, David Dickinson, Jr. (Jennifer), Daniel Dickinson (Cynthea), Jane Hibbs, Katherine McCoy (John), and Kellyann Dickinson (Vince); his brothers, Thomas Dickinson (Theresa) and John Dickinson (Violet); 18 grandchildren; 9 great grandchildren; and his extended family and friends that will miss him dearly. A Celebration of David's Life will be held on Sunday, March 24, 2019 at 1:00 pm at the Town Bank Fire Hall, 224 Town Bank Road, North Cape May. Interment will be private. Memorial donations may be made through In Memory Of for the benefit of the American Heart Association or Autism Speaks at https://inmemof.org/david-a-dickinson-sr or by mailing a check made payable to In Memory Of, PO Box 5472, Charlottesville, VA 22905. 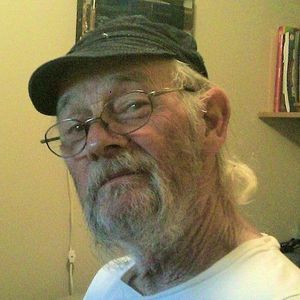 Create An Online Memorial For David A. Dickinson, Sr. Pop was truly a good, good man. A hard worker, caring and sensitive, always there to lend a hand to anyone in need. I will always think if him as a little mischievous, and a rebel. I loved that about him. It makes me smile to think about all the crazy stories he has told me, and I have been told about him. May you rest in peace, Pop. You have certainly earned it. Much love to you, and all you have loved and left behind. We are better for having known you.